Club Penguin Cheats by Mimo777 Club Penguin Cheats by Mimo777: Club Penguin April Membership Page! 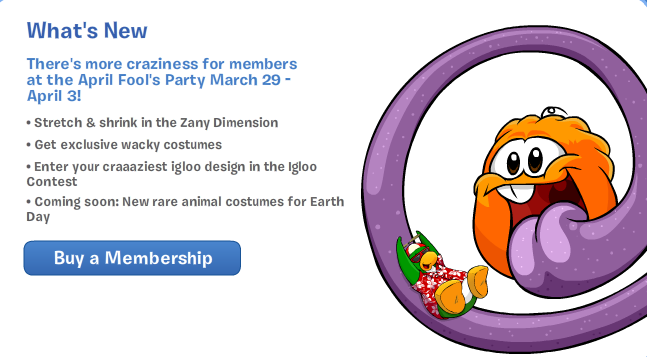 Club Penguin has updated the What's New for April Membership page! Zaniness coming our way soon! I can hardly wait! You?